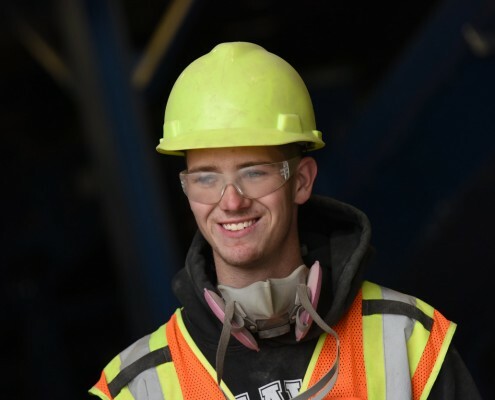 Here at Momentum Recycling, we focus on creating local jobs and we pride ourselves on hiring individuals who may otherwise face barriers to employment. Historically at our Salt Lake City facility, this goal is fulfilled through Momentum’s partnerships with the International Rescue Committee (IRC) – a global humanitarian aid, relief and development nongovernmental organization whose program helps support refugee resettlement – as well as Odyssey House, a local non-profit that helps individuals who have struggled with substance abuse reclaim their lives and get back into healthy, stable environments through effective treatment, prevention, housing, transportation, work and other activities. We are thrilled that we can combine our commitment to recycling and the environment with an opportunity to give back to the community and support these individuals as they transition into a successful career and long-term sobriety post-treatment. Through these partnerships, we have built a great team to staff our facility here at Momentum Recycling. 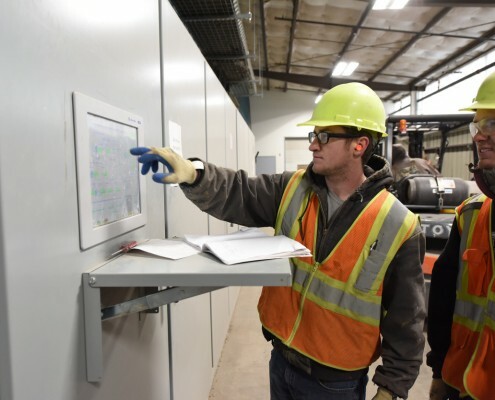 Everyone who works at Momentum Recycling – from drivers to facility personnel – receive ongoing training related to proper materials handling, equipment operation, safety procedures and other skills. Interested in Joining the Team at Momentum Recycling? We would love to hear from you! Available opportunities – both paid and volunteer – arise throughout the year, so if you have a passion for recycling or other great related talents, please view our open positions.